This leiomyosarcoma retains the blunt-ended, cigar-shaped nuclei characteristic of smooth muscle tumors. 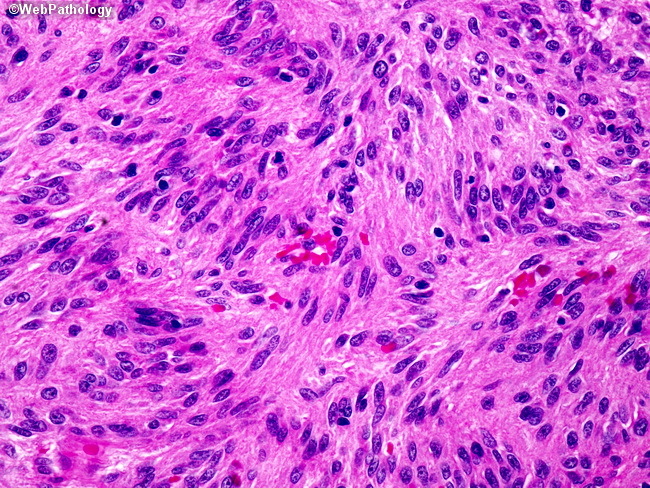 Pleomorphism and abundant mitoses are not present in this image, but were seen elsewhere within the tumor. While these are malignant neoplasms, the exact clinical behavior of gastrointestinal leiomyosarcomas is poorly understood.